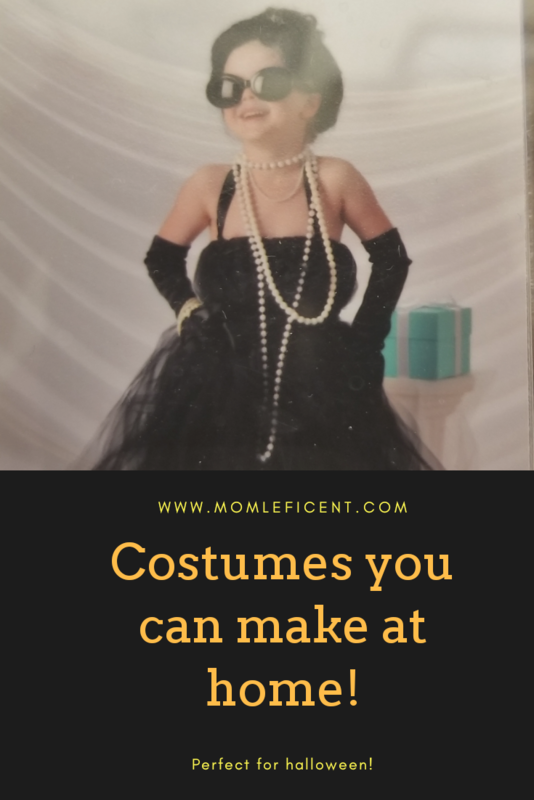 Easy, homemade costumes don’t have to be boring and lame! So let’s get beyond the ghost bed sheet and the pillow case caped super heros and put on our creativity caps. What do you have laying around the house that can easily be repurposed with a little hot glue and elbow grease? Honestly, almost anything! 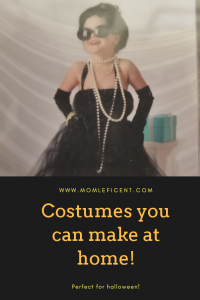 I love to make costumes for the kiddos when I have time to do it right. They are so funny, fussing over details and picking out embellishments. 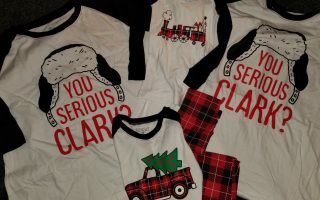 The up side is, you don’t have to be a seamstress to sew simple seams and make costumes that kids will love! There are some on this list that are no sew! 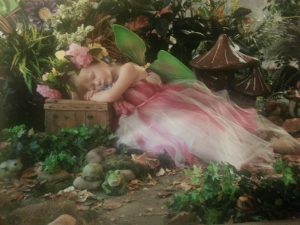 I did a little search on that big ole’ world wide web and found a ton of ideas that wont break the bank or leave me scratching my head. 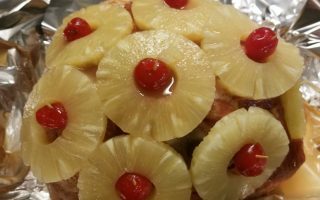 My five favorite are below – the last three are ones I have made myself!. A cup of mac and cheese! How cute is this little guy? I found this on the DIY network’s site and loved it. 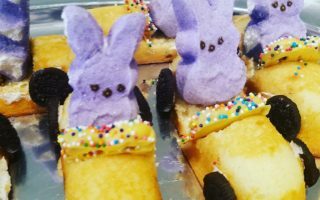 It made me think of paper towel and bathroom tissue rolls that I chunk. 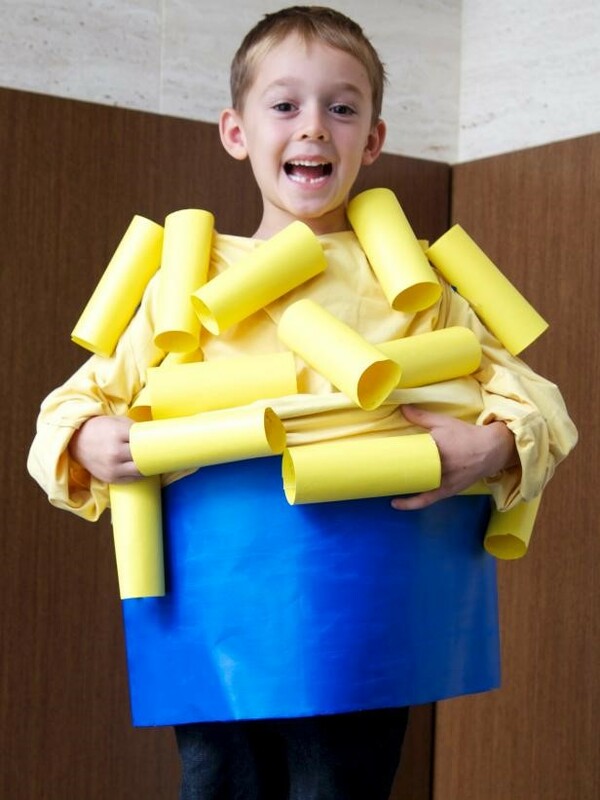 With a little planning, you could have enough “macaroni” to make a costume in no time! 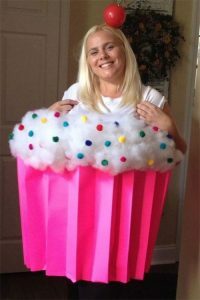 I tried for years to get Tiny to let me dress her up as a cupcake. When she was smaller I could have used an inverted lampshade for the wrapper – now carefully folded poster board. The top is just made of batting (from the sewing section) or polyfil and pomp oms! And how cute is that little cherry on top of her head. 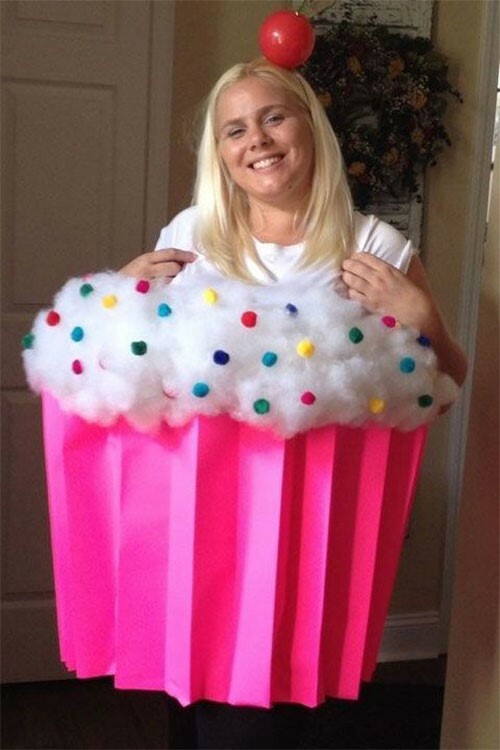 I borrowed this pic from the Modern Fashion Blog, but it pains me that Tiny doesn’t have a photo of her in a little cupcake costume that I can throw up here! 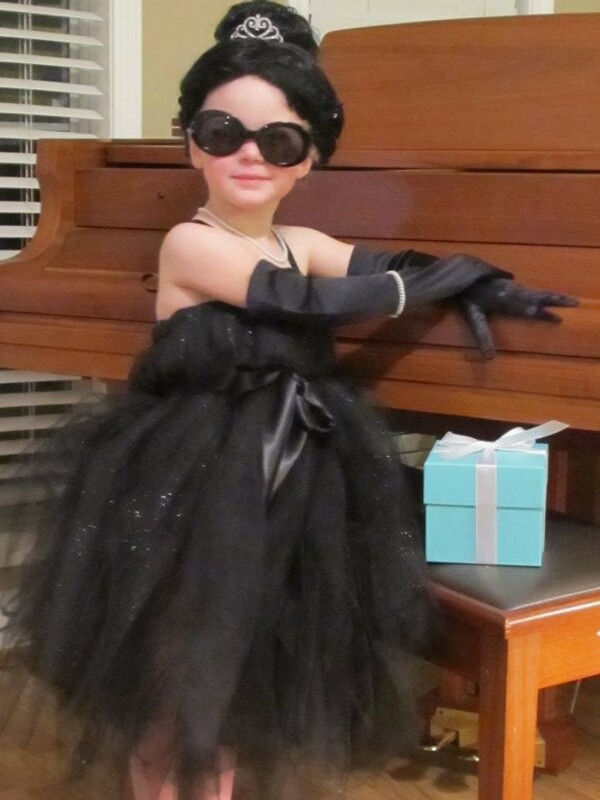 Be still my heart, at least I was able to get a great Audrey Hepburn in Breakfast at Tiffany’s in to her before This is basically an adult sized tutu with a ribbon at the waist so that it looks like a dress. I will say, it was a bit itchy for her, so we did need a black tube top under the tulle. Add some pearls, a wig and some huge sunglasses and how cute is this? It didn’t even take me an entire afternoon to throw this together and she was SO precious!!! Can’t you feel the sass coming off that photo? 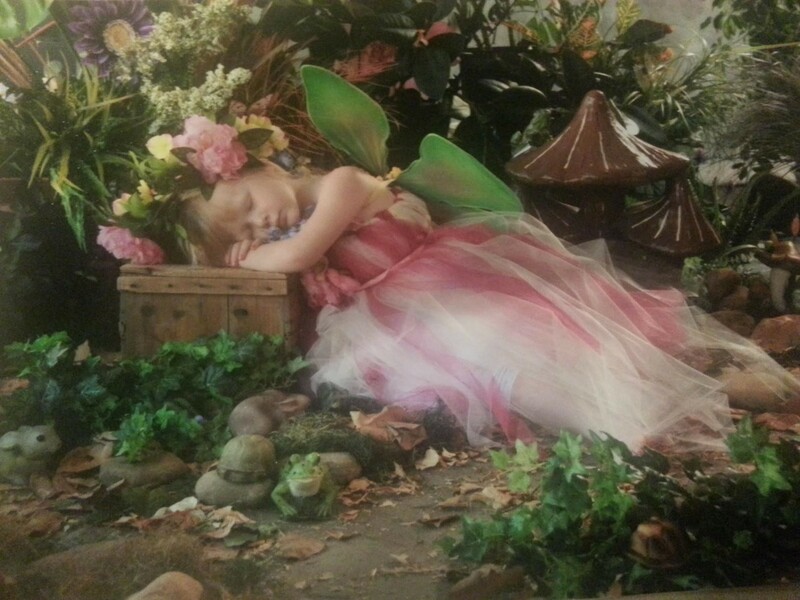 In that same vein, the fairy is an easy and adorable costume as well! 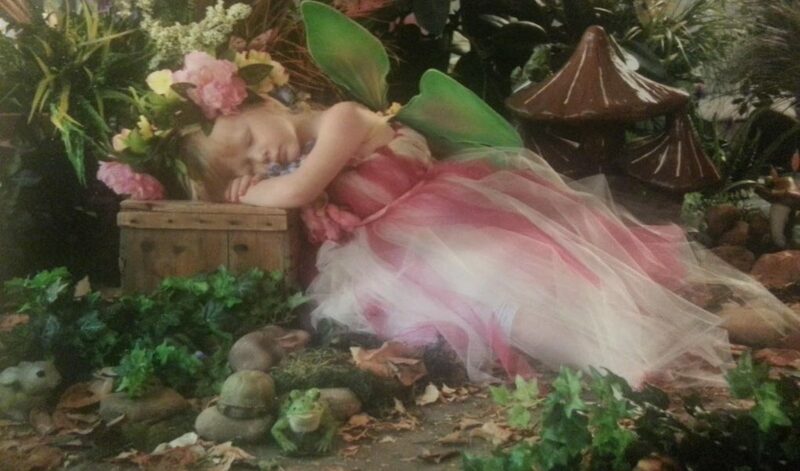 This little fairy is made in the same way the breakfast at Tiffany’s costume was. I made an adult size tutu (in length) and added a contrasting color on top to give it a two toned effect. I simply added a ribbon belt so that it looked like a dress, and away we went. I used pre purchased wings, and made a Polynesian style wreath of Peonies for her little head. Isn’t she adorable? Oh, how time goes so quickly!!! 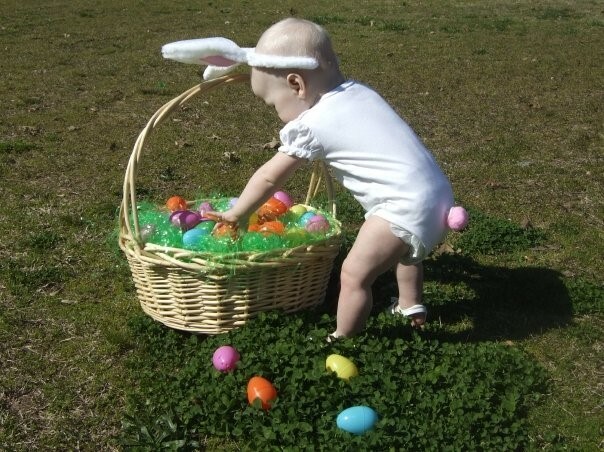 While it isn’t Easter, how fun and sweet is this little Bunny? This costume was the easiest and cutest little outfit for a tiny one. The sweet bunny can be any color, but white was the easiest for me so that I could match the ears. I chose a little pink tail to correspond with the pink inside her ears. This could easily be done with a little pink ballet outfit without permanently altering it. It would also be great with a horn and a rainbow tail made from tulle emerging from the bum. This sweet and simple costume is perfect for the adult who wants to have a little fun or a new born who needs to be comfy but still adorable! Have fun with your costumes, folks, and remember to make sure children can see through any masks before you let them loose on Halloween night. Safety is important! Thank you. I’ll check out yours.